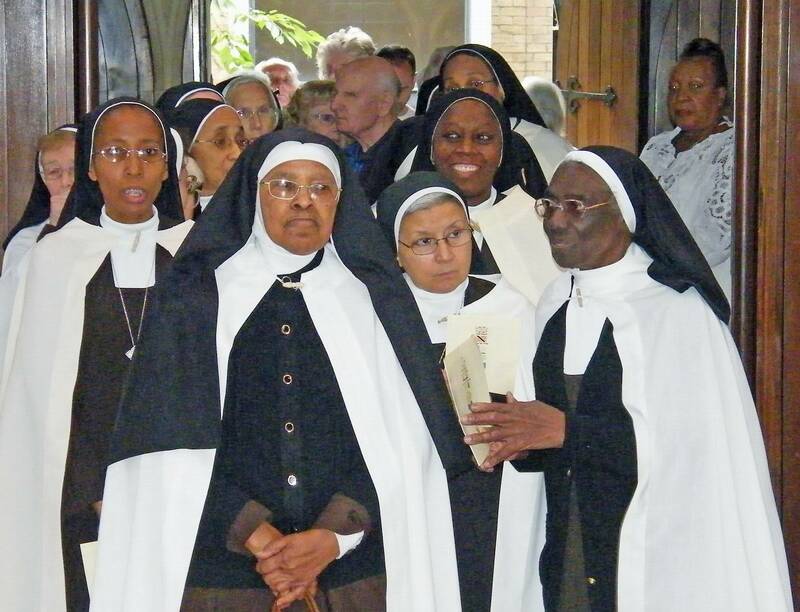 The Corpus Christi Carmelite Sisters are a congregation of apostolic sisters affiliated to the Carmelite Order, active in local communities in Britain, Africa, America and the Caribbean. The congregation was founded in England in the early twentieth century, celebrating its centenary in 2008. Today there are two communities of the Corpus Christi Carmelites in England - Birmingham and York - where the sisters are engaged in many different forms of apostolate, including parish ministry, prison chaplaincy, hospital visiting, and religious education. In each of these locations in England, the Corpus Christi Carmelite Sisters collaborate closely with Chapters of the Carmelite Third Order and Carmelite Spirituality Groups. You can visit the website of the Sisters by clicking here. 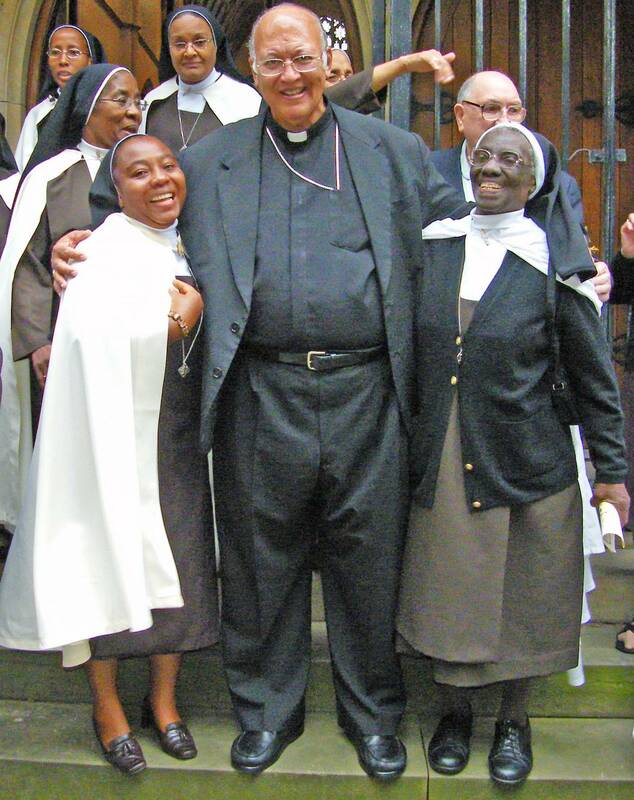 To read an article (in PDF format) about the Sisters' centenary celebrations in 2008 please click here. in the company of Robert Rivas, O.P., Archbishop of Castries.